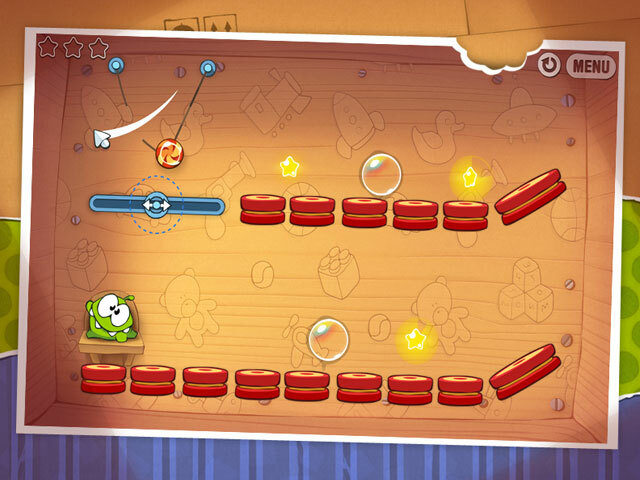 Cut the rope, catch a star, and feed Om Nom candy! A mysterious package has arrived, and the little monster inside has only one request… CANDY! 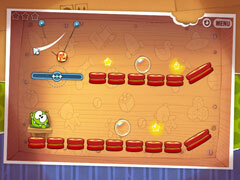 Use your mouse to cut the ropes and release delicious bundles of candy into Om Nom's mouth. 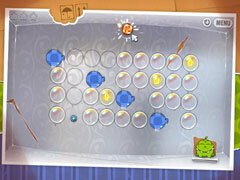 As you keep your new companion's sweet tooth satisfied, be sure to collect shiny gold stars to unlock new levels. Play through a range of different box types – Cardboard, Fabric, Gift Box, Toy Box, and others – each with interesting new gameplay mechanics to keep you coming back for more. 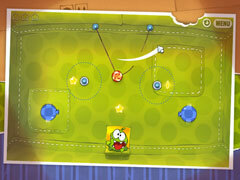 Join millions of others who have enjoyed the fun, casual gameplay of this critically acclaimed physics-based puzzle.